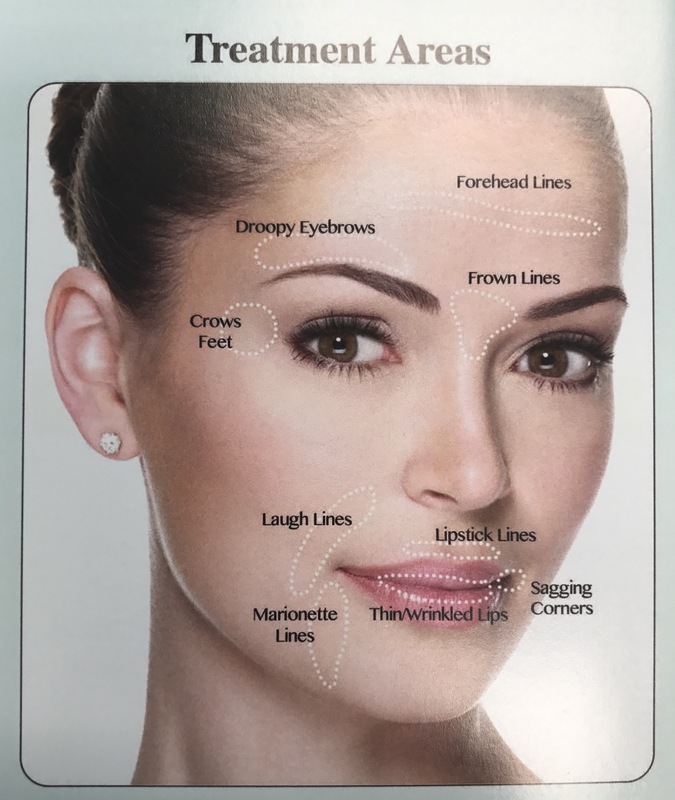 Botox® is an injectable substance that is used safely and effectively to relax facial muscles to correct existing lines and prevent new wrinkles from forming. It will improve the appearance of frown lines, forehead creases, crow's feet and gummy smiles. Dental practitioners are experts in injections and anesthetic techniques for minimally or painless treatments. Usually the injections feel like a pinprick or not even that. Botox® results will reach full efficacy in 2 weeks after treatment. Everyone metabolizes Botox® differently, so results will vary but typically last between 3-4 months. After each re-treatment, it requires less Botox® to produce similar results and lines will return as less severe since the muscles are not trained to relax. Botox® has been used for medical purposes for over 50 years and is FDA approved for safe and effective treatments. Minor bruising and swelling may occur temporarily after treatment and it is best to avoid blood thinner medications prior to treatments.